Earlier in the year, N and two other friends and I had this discussion about concerts and it started with a question. If you had the chance to see any 5 artists (currently alive and still performing) in concert, who would those five artists be and why? Which is pretty exciting for me as I've only to two concerts. And actually one of those is probably better known as a 'gig' (though it makes me roll my eyes to type that). Before children, N surprised me with tickets to see my favourite singer at the time, Enrique Iglesias. I had made plans with some high school friends ten thousand years ago to go see Enrique in concert and sadly it never happened. So N did his very best to make it happen and I love him for that. That was my first ever time at a concert. 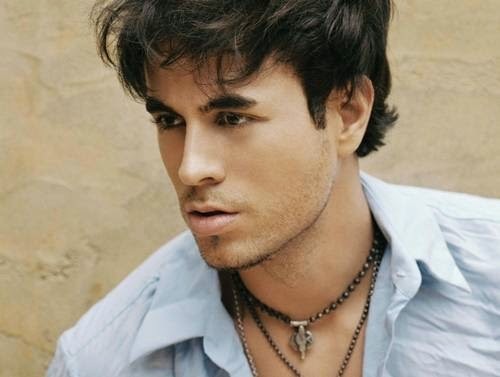 And while I don't really follow Enrique Iglesias' career anymore, I still have very fond memories of that concert. Which brings me to the point of this blog post. Tonight, N and some friends and I are all going to see Nerina Pallott in at Union Chapel in London. It'll my 3rd ever concert and I cannot wait. I've been listening to Fires and The Graduate and Year of the Wolf on repeat for weeks. I love Nerina Pallot. Geek Love is one of my favourite ever songs. Which five (still living and performing) artists would you most like to see in concert?